In a business analysis, not only the costs but also the potential benefits in terms of traffic flows and transport volumes at system borders are useful factors. Task 3 involved determining the potential traffic and transport volumes at the system interfaces for goods trains and passenger trains, and conducting an economic feasibility assessment on the basis of this data for different types of services and for various freight and traffic volumes. The factors relevant to cost-effectiveness, such as market conditions, investments, tariffs, vehicles/facilities, etc. were taken into account. This produced a set of conclusions on the cost-effectiveness of a gauge changeover system, which also take into account traffic volumes expected in the future in and beyond the European area. In addition, potential clients for automatic gauge changeover systems are given the possibility in accordance with their specific needs of establishing a rough estimate of cost-effectiveness based on an example by means of a simple computational programme. This cost-effectiveness study was conducted in cooperation with WU-Wien* (Austria) und VNIIZhT (Russian Federation) and the result was approved by the UIC/OSJD “Automatic Gauge Changeover Systems” Joint Working Group. 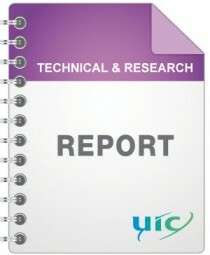 This report was produced on the basis of the results of Sub-task 3 of a total of 5 sub-tasks in the “Automatic Gauge Changeover Systems” project in cooperation with WU-Wien, VNIIZhT and the UIC/OSJD “Automatic Gauge Changeover Systems” Joint Working Group.